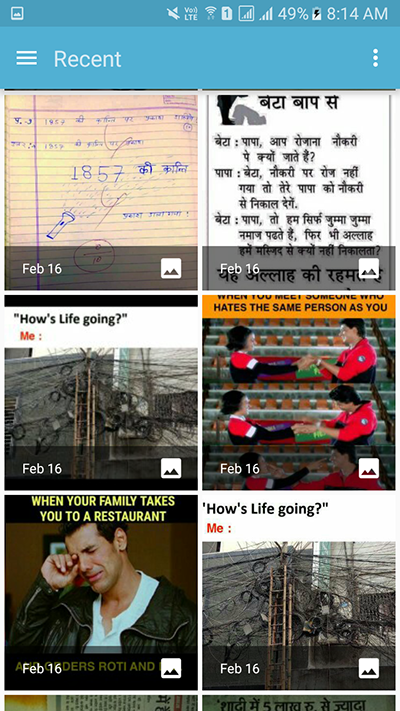 How to pick select image from phone gallery – memory card – internal storage and send to server along with text & store image on server and store image path in MySQL database. 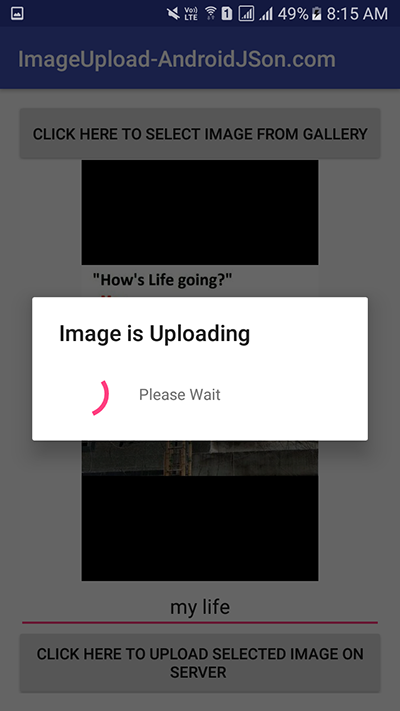 In this tutorial we would going to create an simple android application which would select image from android mobile phone gallery along with image name( Which would enter application user ) and send that image to our online hosting server. After done uploading it would save image on a folder already created on our hosting server named as images and insert image whole path with your domain inside the MySQL database. So here is the complete step by step tutorial for Android Upload Image To Server Using PHP MySQL. Create database along with table on your server to store image information. Create folder on your server to save images. Create PHP script to receive image send by android app. Start a fresh android application development project. Create a table on your hosting server with three columns id, image_path and image_name. Next step is to create a folder named as images on your server which will used to store uploaded images. 5. Start a fresh android application development project. 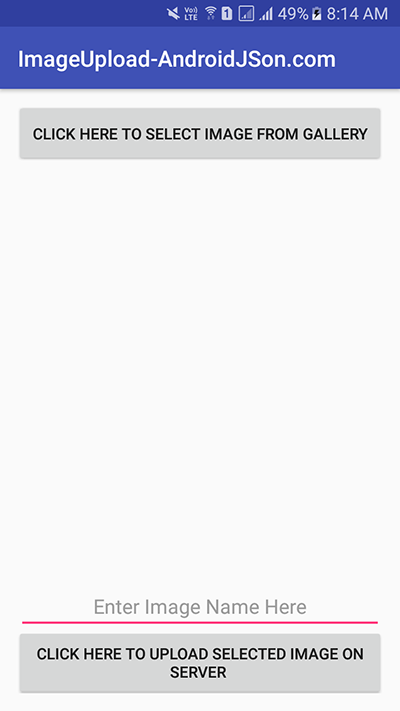 Open your project’s AndroidManifest.xml file and add internet permission inside it.